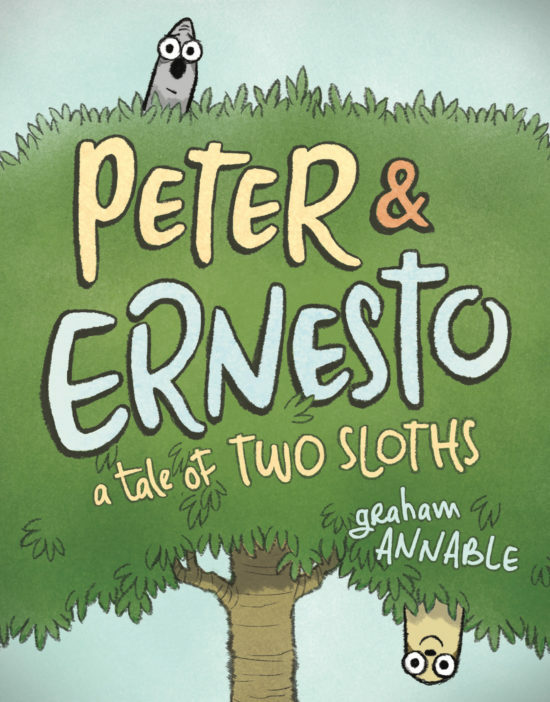 Peter & Ernesto: A Tale of Two Sloths by Graham Annable is absolutely FANTASTIC! 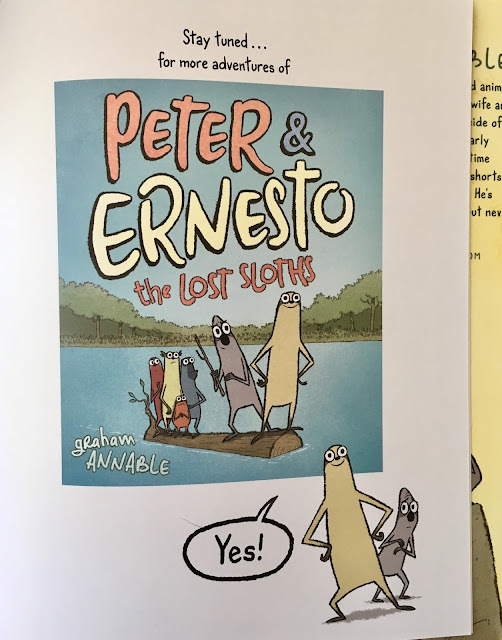 Opposites make for great kid's book characters, especially those for younger readers (think Frog & Toad or Elephant & Piggie) and Peter and Ernesto are definitely opposites. 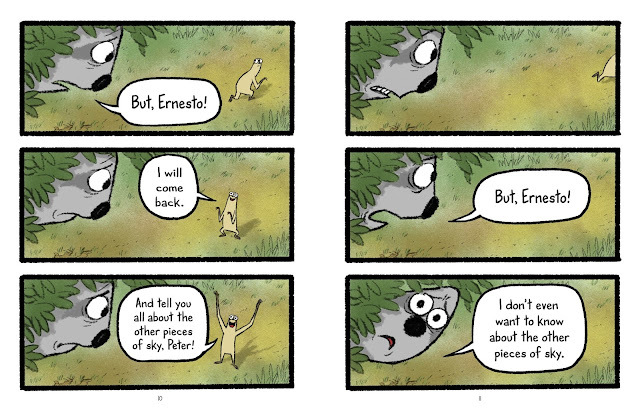 While they share a fondness for munching on hibiscus flowers while spotting cloud animals from the top of their tree, presumably in a rain forest, Ernesto decides that he wants to see all of the sky, not just their small piece, shaking Peter to his core. 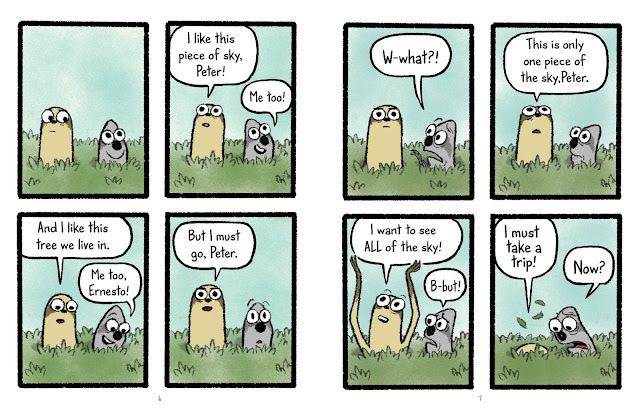 And boy, does Ernesto see all of the sky. He embraces his journey with joy and verve - his delight and curiosity is palpable and readers are sure to fall in love with him. From the sea to the desert to the Arctic, where he sees the Northern lights, Ernesto experiences and explores and makes friends along the way, like the whale named Louie and a camel with a solid grasp of the constellations. Meanwhile, Peter's fears for Ernesto spur him to leave the comfort of their tree. Everything that was a buoyant bounce for Ernesto, from crossing a rickety bridge to hopping stones to get to the other side of the river, is a white-knuckle challenge for Peter. 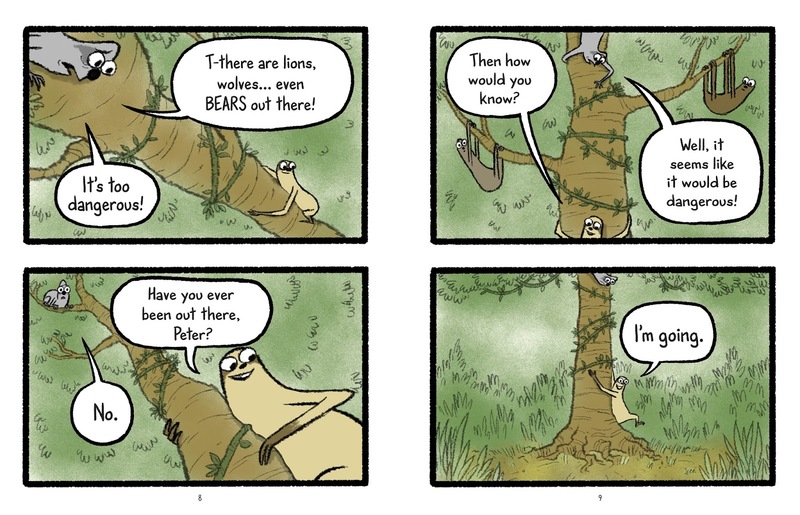 Yet, as he perseveres, Peter meets helpful creatures like Murphy, a macaw, a cranky tapir napping in the river and a colony of crabs and a group of monkeys looking for Dave, their adventurous friend. When the sloths reunite, they each have something to offer the other, naturally. The sweet charm of Peter and Ernesto and their adventures, great and a small, will enchant readers immediately. Happily, there are more adventures ahead! Coming soon!!!! 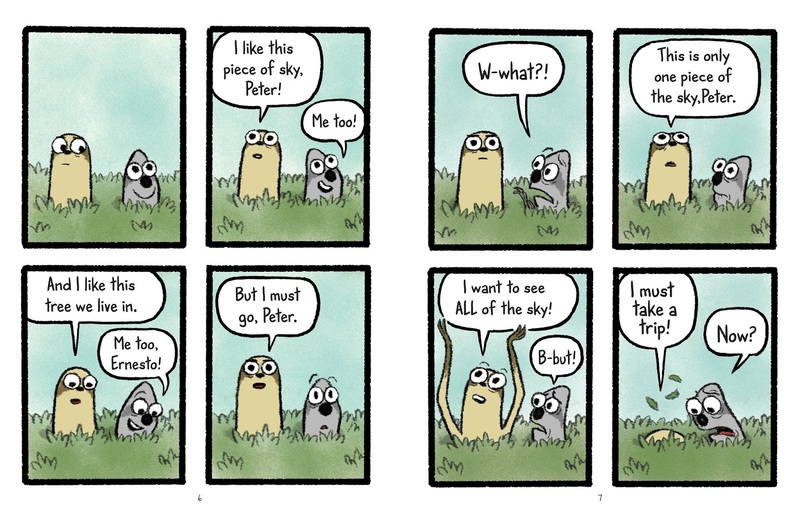 More Peter & Ernesto!!! !